I took this picture onboard Gitana 17 with a drone in the middle of the English Channel. 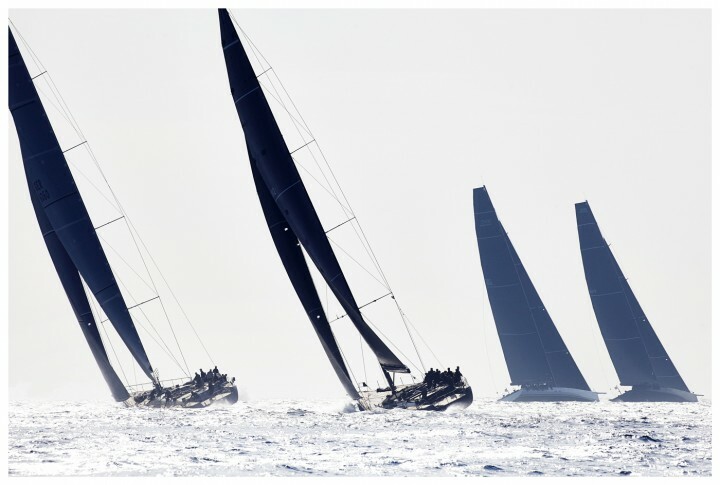 Gitana 17 was averaging 38 knts of boatspeed. What I like in this picture is that the camera is literally facing the trimaran, which is not very usual when it comes to offshore boats. This allows us to see the foil doing a good job lifting the float and the platform. 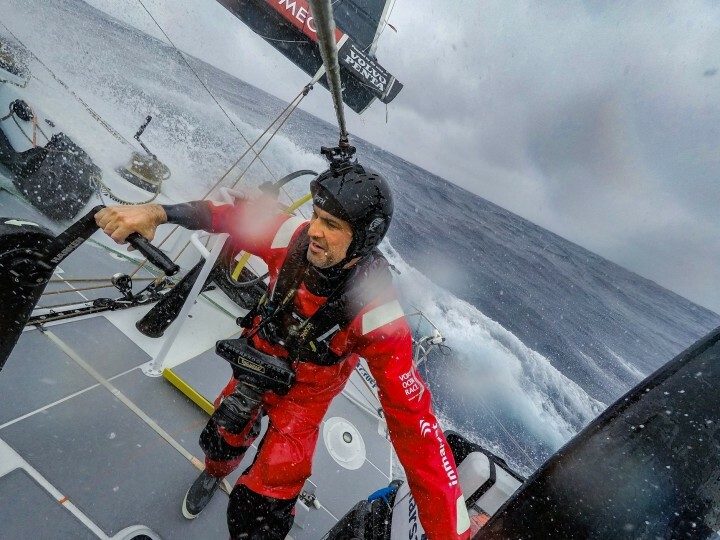 While I am hiding under the coach roof, we can see Sebastien Josse steering and Thomas Rouxel next to him, which gives a good idea of the size of the boat. The beauty of shooting from onboard with drones is that you can actually choose the moment you like to shoot the picture. You don't have to rely on any external tools such as motor boats or helicopters. In this case, the sky was grey during the whole channel crossing except for a ray of sunlight that lasted about 15 minutes. This was enough to take off the drone and perform this shooting.